Former Detroit Mayor Kwame M. Kilpatrick gave an interview in this month's issue of Jet magazine. 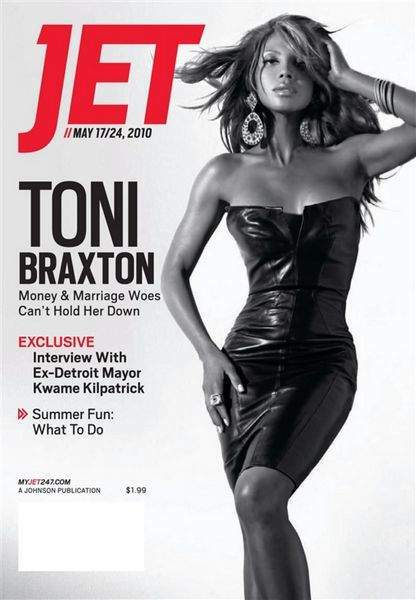 This, by the way, is the issue with Toni Braxton on its cover, which makes it worth picking just for that. In this issue, Mr. Kilpatrick describes his failures while mayor of one of the largest and most troubled cities in America. When I first heard, however, that Mr. Kilpatrick would be discussing his failures as mayor, I have to admit that I didn't think about any of his personal or legal problems. My first thoughts were of his failures as Mayor of Detroit. Instead, it was entirely personal issues. 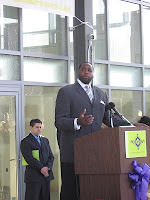 When Kwame Kilpatrick first entered office, my early hopes initially gave way to disappointments. The cockiness that he initially displayed didn't match up with his early accomplishments. However, when he came in second place in the nonpartisan primary for his 2005 re-election bid, I began to see a fundamental change in him. He was still confident, but he lost that edge that took things one step too far. He was determined to do his job. 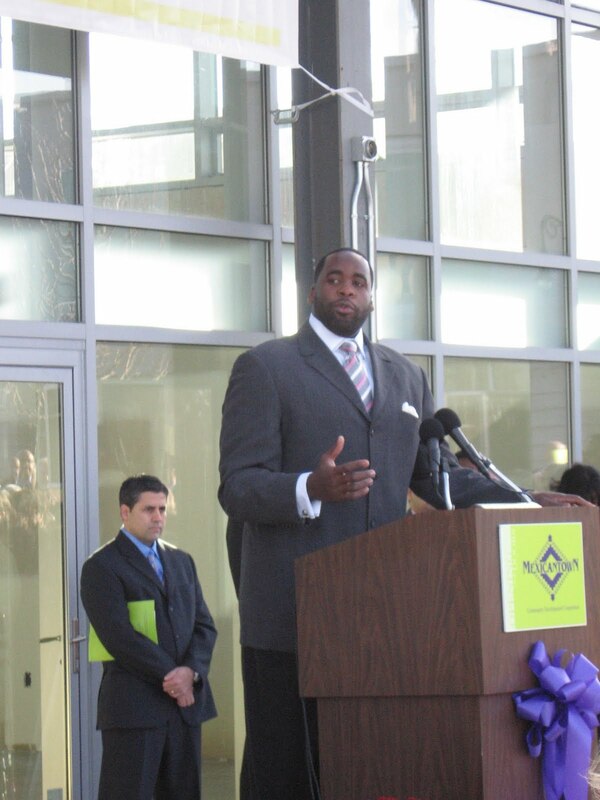 For awhile there, I thought Kwame Kilpatrick might be someone to stick around in the Mayor's Office for quite some time, even though he and I butted head on more than one occasion surrounding historic preservation. For those who aren't aware, I was one of three people who filed a lawsuit in an effort to block demolition of the former Statler Hilton Hotel in 2004. That site is now a weed covered vacant lot. I was also the one who proved that the City of Detroit had falsified an inspection report in February, 2005 regarding the former Madison-Lenox Hotel, which is currently a parking lot. Anyway, my point is that once Mr. Kilpatrick came in second place in the 2005 primary, it seemed to cause a transformation in him. I was proud and hopeful for the first time in years. All of this changed again once the Detroit Free Press published transcripts of text messages, which proved that Mr. Kilpatrick had lied under oath. 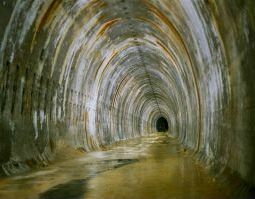 He seemed to develop what can only be described as a bunker mentality. This could not have happened at a worse time for Detroit. The national economy was going from bad to worse. 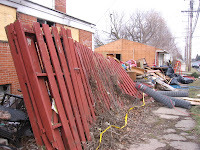 It was also the beginning of the mortgage crisis, which would eventually leave almost one out of every ten homes in the Warrendale neighborhood vacant. When this problem first began, Mr. Kilpatrick convened a special meeting of the U.S. Conference of Mayors. He and other brainstormed ideas for responding to this crisis. 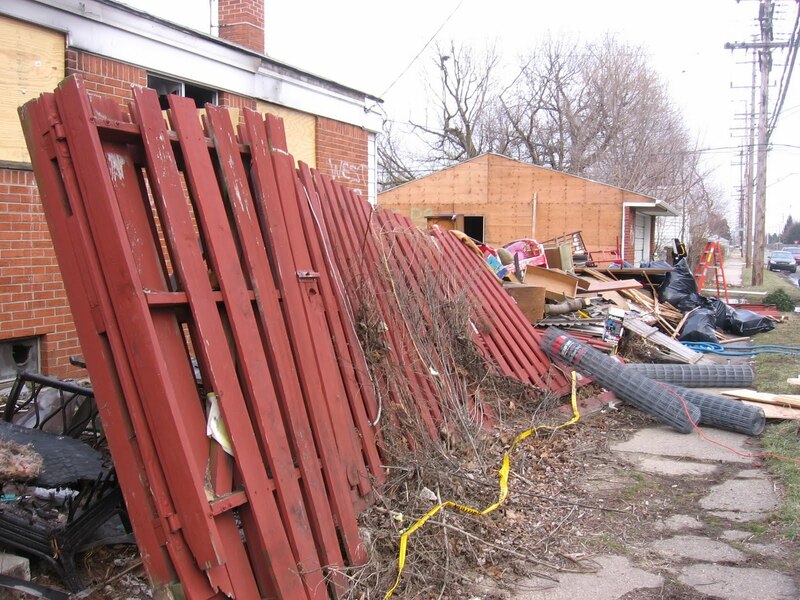 Unfortunately, none of the recommendations that were made were ever implemented in Detroit. By the time this report was complete, all anyone could talk about was his extra-marital affair. In spite of Mr. Kilpatrick's pledge to "never quit on Detroit", he quit on us. He quit at a moment when Detroit needed a strong mayor more than at any time in a generation. Technically, he didn't actually "quit". Mr. Kilpatrick remained in a bunker like setting. He didn't leave, but he also didn't do his job or allow someone else to step in to do it either. Two years later, Mr. Kilpatrick is living with his family in Texas. I wish him well. The courts will settle the questions that surround Mr. Kilpatrick and whether or not he has met the terms of his probation. Lawyers can opine on that question better than I can. However, when someone talks about the ways in which Kwame Kilpatrick and his Administration failed Detroit, my thoughts will not turn to what happened in some hotel room or any of the events connected to it. My thoughts will always rest with a list of recommendations that were never implemented.